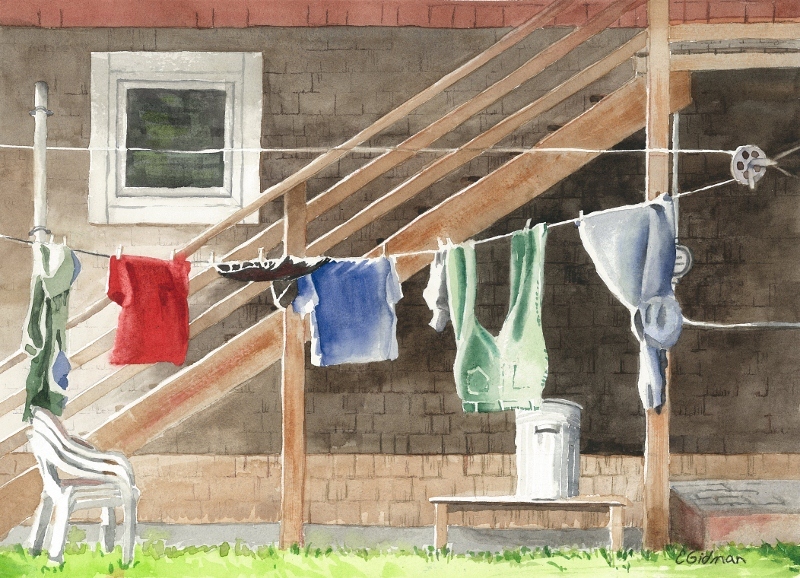 This 'Clothesline Series' is an ongoing series which has been in Art Shows and in Galleries in the Kootenays. If you are interested in having your clothesline painted contact me at egidman@kootenay.com. What is this interest in clotheslines? I have never had a clothes dryer in my home and after seeing the beautiful clothes hanging in Italy I started being proud of that fact more openly. The promotion of energy conservation is dear to me and my goal with this series is to draw attention to ways of saving energy. Aren't those clotheslines just so artful. I encourage everyone to hang their clothes to dry whenever it is practical.